When it comes to starting a vegetable garden, the most important step you can take doesn’t involve a shovel, a tiller, or even a speck of dirt. A successful new garden begins with planning. Here’s what to consider as you plan a new garden or update your current one. Make a list of the plants you would like to grow. Then do some research about each one to find out when to plant them, where to plant them, how much water they need, how much attention they need, and when to harvest them. Grow vegetables that are worth your time. This may take a little bit of homework but the effort you invest will pay off. Your garden is meant to be enjoyable as well as functional. Some veggies are harder to grow than others. Some need more TLC than others. Some are more productive than others. How much time and effort can you put into your garden, especially the first year when you don’t know what to expect? When you grow vegetables that are reliable and have a reputation for giving results, you’ll be more likely to grow a vegetable garden again and again in successive seasons. Then after your first season, you can try growing a new variety or a different type of veggie each year for fun and to challenge yourself. Grow vegetables that are suitable for your climate. Know the local first frost dates (in the fall) and last frost dates (in the spring) so you can choose appropriate crops for your garden. Learn from local gardeners about when to set specific types of plants in the ground in your area. A garden is a growing organism. 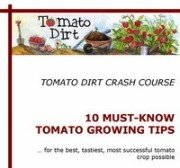 Careful planning will allow you to grow and harvest veggies all season long. How much space can you devote to your garden? How much time are you willing to invest in planting, watering, weeding, and harvesting? How many vegetables can you use, process, and give away? Although a garden can be as labor-intensive as you choose, a common beginner’s mistake is in underestimating the amount of time you need to invest during the growing season in order for your garden to be productive. When you’re starting a vegetable garden, it’s better to get going too small rather than too large. For a very small garden, such as an 8 foot by 8 foot plot, plan to spend about 2-3 hours a week in upkeep. Allot additional time accordingly as your garden size increases. Choose a convenient spot. If your vegetable garden isn’t handy, you will be less likely to check on your crops, monitor plants for diseases and pests, keep the soil watered, and harvest your produce. Choose a sunny spot. Vegetables need at least 8 hours of direct sunlight a day. Avoid placing your garden in the shade. Choose a spot with access to water. You’ll need it for watering your garden, especially during the heat of the summer. 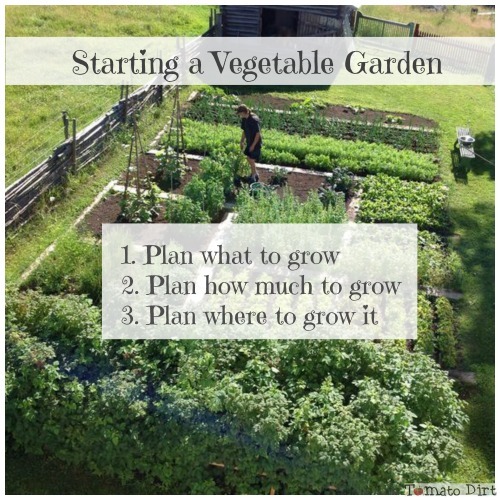 Once you make these 3 decisions (choosing what to grow, how much to grow, and where to grow it), you’re ready for the next steps in getting your garden in the ground: making a garden plan, tilling your garden, and preparing your soil.